For interviews, comments, or information, call 202-463-7106. Union officials have abused the trust of their members. They’ve misspent member dues and harmed the very same people they promise to protect. In 2005 alone, federal racketeering investigations resulted in 196 convictions against union officials and $187 million in fines. Union tactics — including deception and intimidation during organizing campaigns, strikes that hurt members more than they help, spending mandatory union dues on radical political agendas, and the use of anti-democratic voting practices — are long overdue for exposure. The Center for Union Facts has gathered a wealth of information about the size, scope, political activities, and criminal activity of the labor movement in the United States of America. 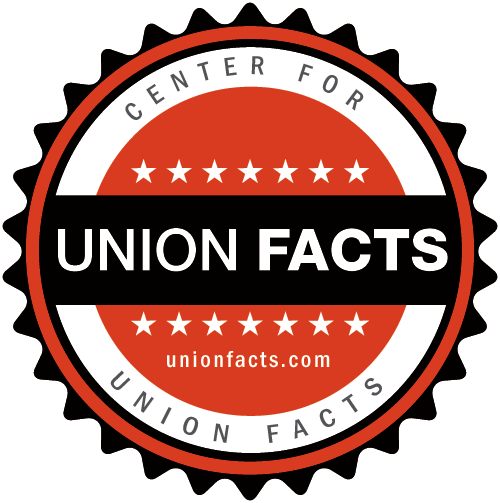 Welcome to UnionFacts.com.